Why Wait Months To See a Dermatologist? David B. Schulman M.D., a Board Certified Dermatologist and Harvard trained. 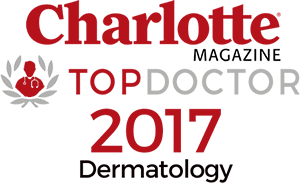 At South Charlotte Dermatology we are accepting new patients. Dr. Schulman specializes in General Dermatology. The American Academy of Dermatology is the largest, most influential and most representative of all dermatologic associations. With a membership of over 13,700, it represents virtually all practicing dermatologists in the United States. Contact aad.org. Since its founding in 1979, The Skin Cancer Foundation has set the standard for educating the public and the medical profession about skin cancer, its prevention by means of sun protection, and the need for early detection and prompt, effective treatment. Contact www.skincancer.org. The practice is focused on general dermatology. We see patients from Charlotte, Pineville, Fort Mill, Ballantyne, South Park, Myers Park, Steele Creek, Tega Cay and many other surrounding communities regularly. David B. Schulman, M.D., F.A.A.D.